A final day of Super Saving with a Premier League trophy for Conte to savour! We’re pretty sad that the Premier League 2016/17 season is coming to an end on Sunday, after what has been an exciting campaign. I’m most looking forward to Sunday as all the Premier League sides feature! Arsenal play Everton in a match where only a win for the Gunners could give them a chance of securing a top four spot – unless Watford pick up a huge point against Manchester City and Middlesbrough take a point from Liverpool. Petr Čech will start in goal for the Gunners and, while realistically his side won’t qualify for Champions League football next year, the Czech insists that the Europa League should not be underestimated by the club next season – after all a European trophy is still a European trophy. Everton’s super striker Romelu Lukaku has been scoring for fun this season, however it won’t be easy putting the ball past the in-form Čech. Super saves, sensational shot stopping, and ninja-like reflexes can all be expected from the Arsenal number one. West Ham travel to Burnley where they will be hoping to sign their season off on a good note following the 4-0 thrashing they suffered at the hands of Liverpool. It will be a tough test for the visitors however, as they are without a win in six games despite Arsenal being the only top-eight side they’ve faced in this time. Goalkeeper Adrián has laid down an ultimatum in recent news, stating the Hammers must challenge for a higher league finish or he will be forced to leave the club. The Spaniard has been the first choice for much of the season as opposed to Darren Randolph. Adrian will be aiming to be on his best form so not to let in as many goals as he did last weekend! 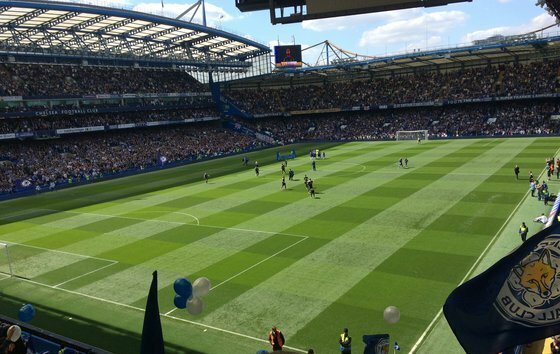 With selfies on the pitch, the trophy presentation, and a guard of honour for the players; you can see what kind of day it’s going to be at Stamford Bridge. Sunderland are the visitors and, even in party mode, Chelsea will be capable of running up a very big score against relegated Sunderland. Thibaut Courtois, who has been instrumental in Chelsea’s title triumph, could record a total tally of 17 clean sheets which would mean he’d claim the Premier League’s Golden Glove award over Hugo Lloris. Tottenham take on Hull at the KCOM stadium, where it should be a relatively easy win for the visitors. Both sides have got nothing to play for; with Spurs missing out on the title, and Hull being relegated back to the Championship. Spurs striker Harry Kane scored four against Leicester last night to take him to the top of the goal scoring table and he will be wanting to score four more against the Tigers. Goalkeeper Eldin Jakupović will no doubt be nervous going into this encounter, and keeping a clean sheet would be a remarkable feat. Spurs keeper Lloris will be looking to make amends for his error on Thursday night that cost him a clean sheet. The Frenchman charged out of his box to meet a through ball for Jamie Vardy, however Lloris was unable to clear and Ben Chilwell scored with the Tottenham keeper scrambling! With six more games kicking off on Sunday, it’s all set to be a jam-packed afternoon of football. Will Courtois win the Golden Glove award? Will Arsenal be playing Europa league football next year? And will Harry Kane clinch the Golden Boot award? Only time will tell. I’ll be back on Monday with all the latest news!